Professional achievement includes relevant industry experiences, career knowledge, leadership, communication skills, ability to work in a team, and readiness for the workplace. Professional achievement is different from academic achievement, both are important. Employers today expect that new hires will have the skills and knowledge to perform their job and the relevant career experiences, communication skills, and leadership to hit the ground running. A high level of professional achievement shows that a graduate can apply learning to practice and is ready to achieve success in the workplace. Academic achievement is measured by GPA, professional achievement is measured by professional achievement (PRO) points. 1000 PRO points minimum graduation requirement. Showcase professional achievements on an e-portfolio that displays your professional achievement badge. Gain recognition for professional achievement on leaderboards, awards, and receive exclusive opportunities to meet with industry executives and participate in events. Use Reward points at the Points store to purchase swag. e-portfolio: A web site that displays professional achievements that highlight your skills and body of work, the site is dynamic, updated frequently, and pushed to search engines. 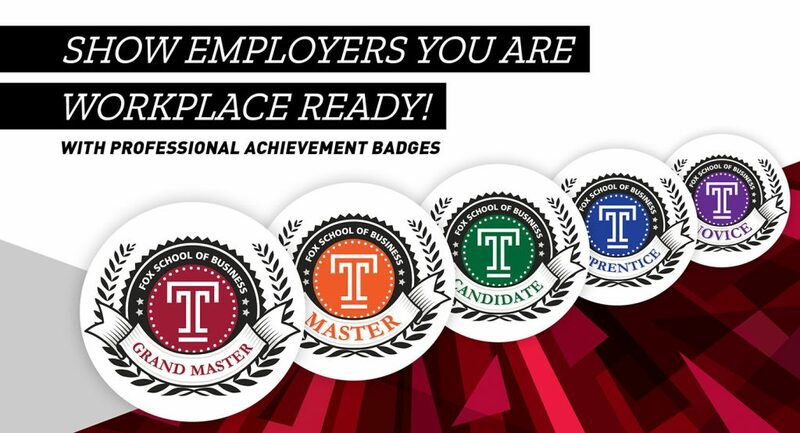 Professional Achievement (PRO) points: Earn PRO points for approved professional development activity (e.g., internships). Reward points: Each earned PRO point also earns a Reward point. Reward points are used for purchases in the Points store. Next, learn how to Get Started.